Subscribers to the General Insurance Code of Practice accepted 95.8 per cent of claims* in 2016-2017, according to the Code Governance Committee. General insurers pay out about $120.8 million in claims on average each working day**. However, sometimes, the insurance company and the customer disagree on the insurer’s decision. Under Australian law, insurers are required to have in place two distinct complaints processes. One must be an internal complaints process within the insurance company and the other must be must be an external dispute resolution scheme that is independent from the insurer. This ensures that disputes between insurers and policyholders are resolved in a fair and straightforward fashion. What can you do if your claim is rejected, or you are not satisfied with what you receive? Your insurance company may turn down your claim because you haven’t supplied enough information or because it believes your policy does not cover the loss or incident for which you are making a claim. Your insurer may also decide to pay only a portion of the claim, for instance if you are underinsured, the policy has claim limits for certain defined risks, or if the event causes some additional damage not covered by the policy. If you are unhappy with your insurance company’s decision on your claim, you can ask that your case be reviewed. All insurance companies are required to have their own internal dispute resolution system, and are also required to be a member of an external dispute resolution scheme. If, after an internal review, you are still unhappy with your insurer’s decision you can take your claim to the approved external dispute resolution scheme, or you can start a legal action against the insurance company. You can also contact the Australian Securities and Investments Commission (ASIC) to complain about your insurer if you believe the insurer’s conduct could affect other customers. The treatment of customers and resolving disputes is an important part of the General Insurance Code of Practice. The code requires insurers to be open, fair and honest in dealings with customers and commits insurers to high standards of service when selling insurance, dealing with claims, responding to catastrophes and disasters and handling complaints. Every insurance company must provide you with information on its internal dispute resolution process. This will include details of what you must do to lodge a complaint and how the insurance company will undertake to deal with the complaint. This information will be included in the Product Disclosure Statement. Most insurers will also set out the internal dispute resolution process on their website. You can use the internal dispute resolution process to address any issues you may have with the insurance company, the insurance company’s staff, an agent of the insurance company, or a loss adjuster, assessor or investigator. The insurance company will allocate a person who has decision-making authority to review your dispute. This person is responsible for writing to you within 15 business days to let you know the outcome of the dispute, so long as the insurer has all relevant information. Your insurer will work with you to resolve all complaints and disputes quickly and fairly. It will keep you informed of the progress of the response to your complaint. If you have lodged a dispute, your insurer will keep you informed of the progress of their review of your dispute at least every 10 business days. Usually the internal dispute resolution team can sort out any problems you have, but if your dispute remains unresolved or you are unhappy with the decision, your insurer will provide you with information about options available to you. This includes referring you to the free and independent external dispute resolution scheme administered by the Australian Financial Complaints Authority (AFCA). If you are not satisfied with the result of the internal dispute resolution process, you can choose to go through the approved external dispute resolution process. The Australian Financial Complaints Authority independently and impartially examines general insurance disputes between general insurance companies and customers who hold policies for home and contents, motor vehicle, travel and other forms of general insurance. AFCA is independent and provides a free service for consumers. 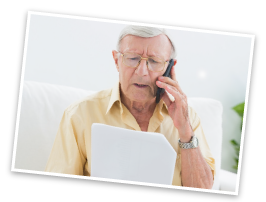 It can mediate between the insurer and the consumer, and when mediation is unsuccessful, an ombudsman can make a determination. AFCA decisions are legally binding on the insurance company but you are not bound by its decisions. You should contact AFCA as soon as possible if you are dissatisfied with your insurer's internal dispute resolution decision. Before AFCA can consider your case, your insurance provider must have been given an opportunity to resolve the dispute with you directly. In most cases, your insurer has up to 45 days to respond to your complaint. Visit the AFCA website for more information about the dispute handling process, or to lodge a dispute with the AFCA online click here. As a consumer you have the right to complain about your insurer’s products and services if you think your insurer has made a mistake. 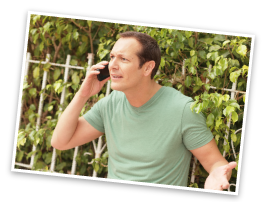 Complaints can vary from simple misunderstandings to more complex issues that take time to resolve. Before you contact your insurer it’s important you have a clear understanding of what the issue is, why you believe your insurer is at fault and the outcome you would like to achieve. It is important to read and understand your policy schedule and Product Disclosure Statement (PDS), and consider how your concerns match up with the terms your insurer agreed to in the conditions of your policy. Your insurer has a complaints handling process, which outlines the steps involved when lodging a complaint or dispute. Check your PDS for the insurer’s complaints process or look for it online. Contact your insurer and ask to speak to a customer service consultant or the claims officer managing your claim. The consultant or claims officer will do their best to resolve the complaint quickly and fairly. If they are unable to do so, your complaint will be referred to a team leader or manager who often has the authority to make a decision. If you are still not satisfied with the manager’s response you are entitled to seek an internal review of the decision. TIP: Make sure you can provide your insurer with as much information as possible about the reasons for your complaint. You may need to supply relevant documentation to assist in a timely resolution. If your complaint remains unresolved your insurer will provide you with the details of its Internal Dispute Resolution (IDR) process. Once an internal dispute is lodged the insurance company will allocate a person who has the decision-making authority to review your dispute. This person is responsible for writing to you within 15 business days to let you know the outcome of the dispute, provided your insurer has all the necessary information and has completed any investigation required. In cases where further information, assessment or an investigation is required your insurer will advise you of how long it thinks this will take and may extend this time frame with your consent. Your insurer will keep you informed of the progress of the response to your complaint at least every 10 business days. The time frame within which you must register your dispute with the external dispute resolution scheme. Once the internal review is finalised you can either accept your insurer’s decision and the dispute will be closed, or you can seek an external review if you are unhappy with its decision. You can also seek an external review if your dispute remains unresolved after 45 days from the time you made a formal complaint. TIP: Your insurer must have been given an opportunity to resolve the dispute with you directly. In most cases, your insurer will respond within 15 business days to let you know the outcome of the dispute however your insurer may take up to 45 days to respond from the time you make a complaint, if for example, it requires further information or it is investigating the matter. Usually the internal dispute resolution team can sort out any problems you have, but if your dispute remains unresolved or you are unhappy with the decision, your insurer will refer you to the free and independent external dispute resolution scheme of which it is a member, usually the Australian Financial Complaints Authority (AFCA). The AFCA independently and impartially examines general insurance disputes between general insurance companies and customers who hold policies for home and contents, motor vehicle, travel and other forms of general insurance. AFCA can mediate a dispute between the insurer and the customer, and where mediation is unsuccessful, an ombudsman can make a determination. AFCA decisions are legally binding on your insurer; however you are not bound by the decision. Visit the AFCA website for more information about the dispute handling process, or lodge a dispute online here. TIP: You must lodge a dispute with AFCA within two years of your insurer's Internal Dispute Resolution decision, or six years from when you first became aware or should have reasonably become aware of your loss. If you are not happy with the outcome of the external dispute resolution process and would like to pursue the complaint, you can seek legal advice to start a legal action against the insurance company. You should consider time limits that may apply to start legal action. If you believe the insurer’s conduct could affect other customers, you may also wish to complain to the Australian Securities and Investments Commission (ASIC).